We always hate to hear when someone has their car or belongings stolen, but unfortunately, sometimes it just happens. Sometimes, no matter the amount of precautions we take, people will make the terrible choice to take someone else’s vehicle or the things inside. But there are some things that we can do to give a thief pause when checking out your car. This may seem obvious, but it does happen. Maybe you think it will be okay just for a second while you run in the store. But the truth is, all it takes is a second for someone to jump in your vehicle and take off. Always turn your car off and take your keys with you. 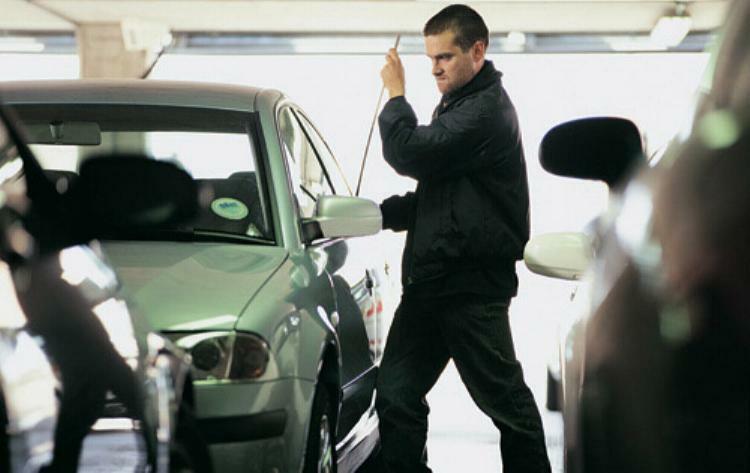 Thieves are usually on the look out for easy access to cars. If your windows are down or your doors are unlocked, it makes your car a target for someone looking to steal a car or valuables from inside. If you are leaving your car unattended, rolling up your windows and locking the doors is an easy task that will help deter thieves. If you must leave valuable items in your car, take care to hide them out of view. Consider even locking them in your trunk. Things like iPhones, laptops, purses, wallets, luggage, shopping bags or even bank envelopes can be tempting to someone that is looking to steal valuable items from cars. Sometimes we have no choice where we have to park, but you do want to try and avoid areas where someone could break into your car unnoticed. This means stay out of the dark alleyways! Look for spots under street lights or in front of a building where people would see if someone was attempting to break into your vehicle. We hope you have found these tips useful and we certainly hope that you never experience a car theft. For more information about auto, home or business insurance – please give us a call at (770) 489-2403 or contact us online.